Our final city and last stop of our amazing European adventure! We both had never been to Prague before so this city was a new adventure for us. 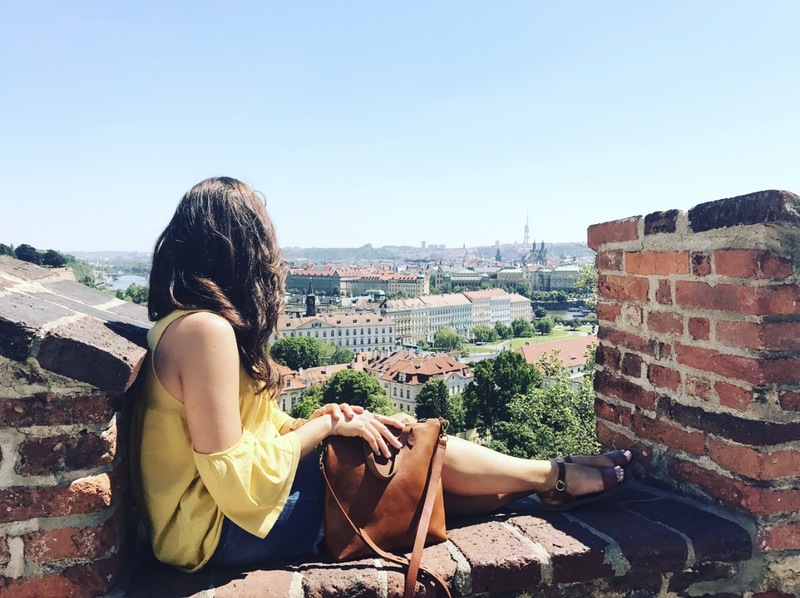 How did we decide on Prague? Well, it fit well into our plans and was only about a short hour or so flight from Venice. 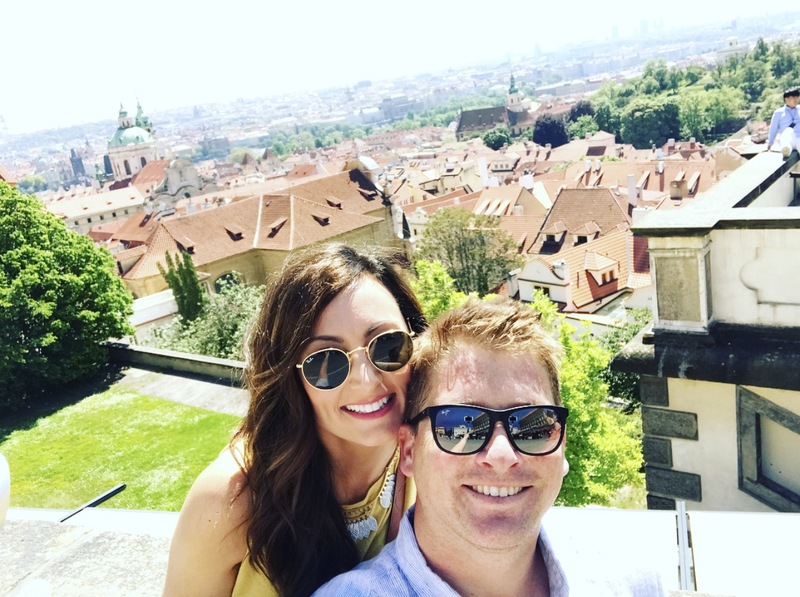 Also, Prague has been on Bryan’s list for a while now and we wanted a new city for both of us, so Prague it was! Like Venice, when we visit a city for the first time, we like to stay in a central location so that we can walk everywhere. 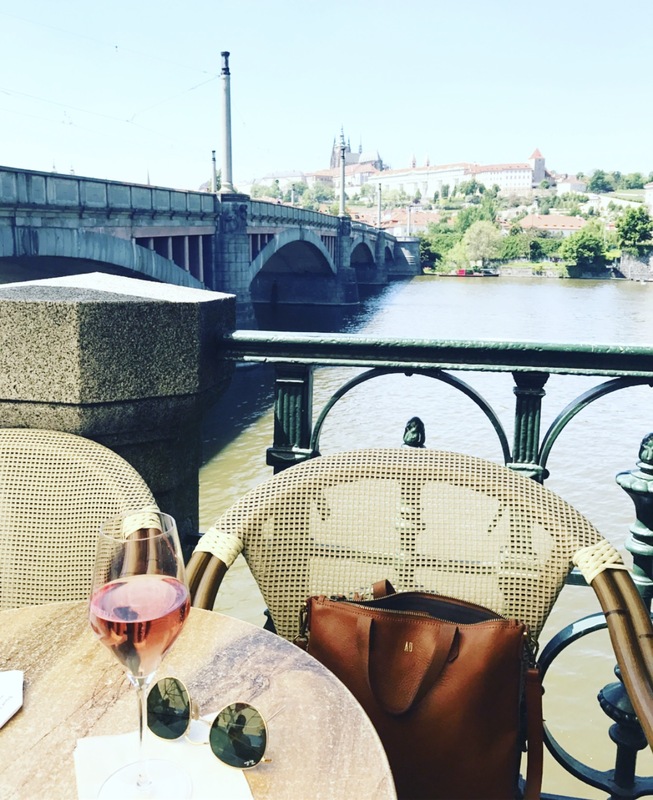 This time we chose to stay in the heart of Prague at the Hotel Ventana. Out of all the hotels we stayed in on this trip in every city, this one was our favorite. Such a gorgeous hotel with the kindest staff and not to mention we could walk EVERYWHERE. We also were greeted with champagne when we first got there….now that’s the way to this girl’s heart. Also, one of the BEST things about this hotel is the all inclusive breakfast. It’s extreme. Everything you could possibly want for breakfast inside of a gorgeous room with chandeliers. Bryan and I couldn’t believe that it was included in the stay! Such a plus! We absolutely loved this gorgeous rooftop restaurant! Highly recommend. We tried to eat lunch here on the first day but the wait was over an hour. They do not take reservations so we came back for an early dinner one day and we were able to get a great table outside on the roof. Food was great, view was amazing and staff was fantastic! We stumbled upon this adorable little donut shop while roaming around the city and I couldn’t pass it by. 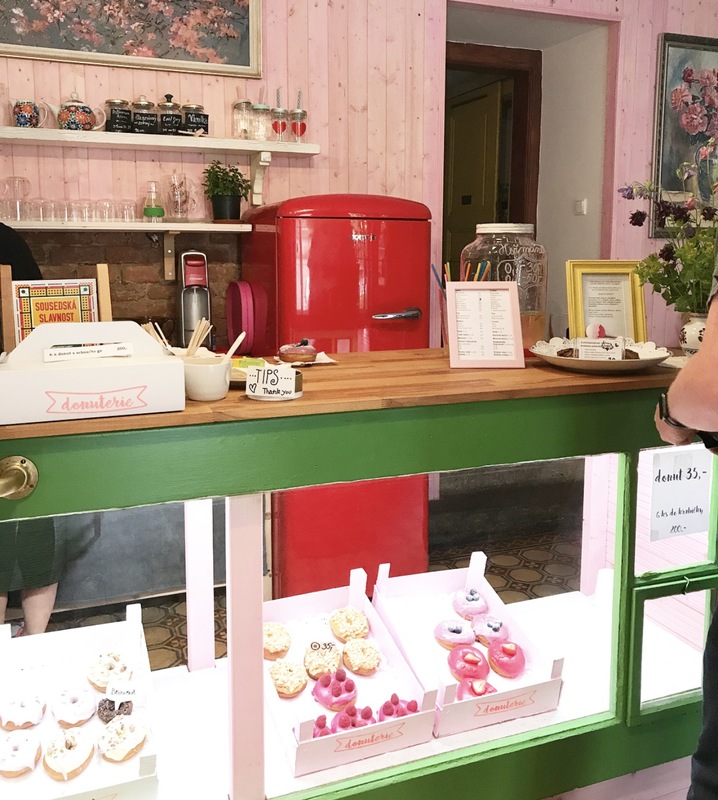 It kind of had a vintage vibe to it with colorful decor and the tastiest donuts. So good! We ate lunch here one day and loved it. We sat outside so we could people watch while enjoying some wine and food. You also won’t miss out if you choose to eat inside as it’s a breathtaking restaurant indoor and out! Nothing really special about this place, but it was not a bad spot if you are stuck in a jam and hungry. Food was decent, it’s right on the water and it was a great spot to rest our feet for a while. This was our first stop when we landed in Prague. Honestly, it was nothing special but it was still super fun! It’s typical pub food but each table has a beer tap in the middle of the table. You choose what beer you want via an electronic menu and pour the beer yourself at the table! This was hands down our favorite restaurant of the whole trip! We had dinner here on our first night and loved everything! They have a great wine list, organic locally grown fresh food and a great outdoor patio. Not only that, it’s so reasonably priced! We loved it! 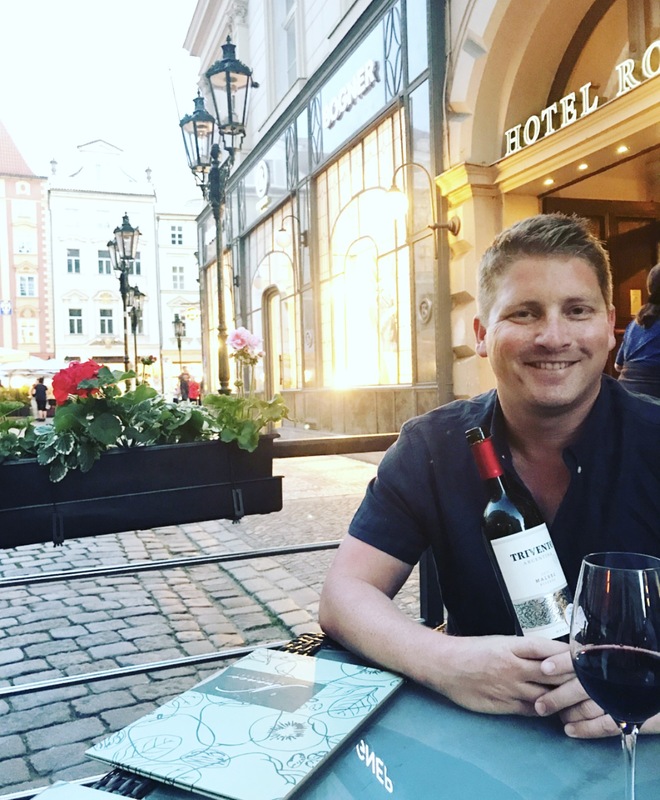 So I talked about the actual Hotel Prince U restaurant first, but this is another spot owned by the hotel that is basically an outdoor patio in the middle of the most popular square in Prague. You can’t miss it. A great spot to grab a drink and an appetizer. They also have an extensive food & drink menu! 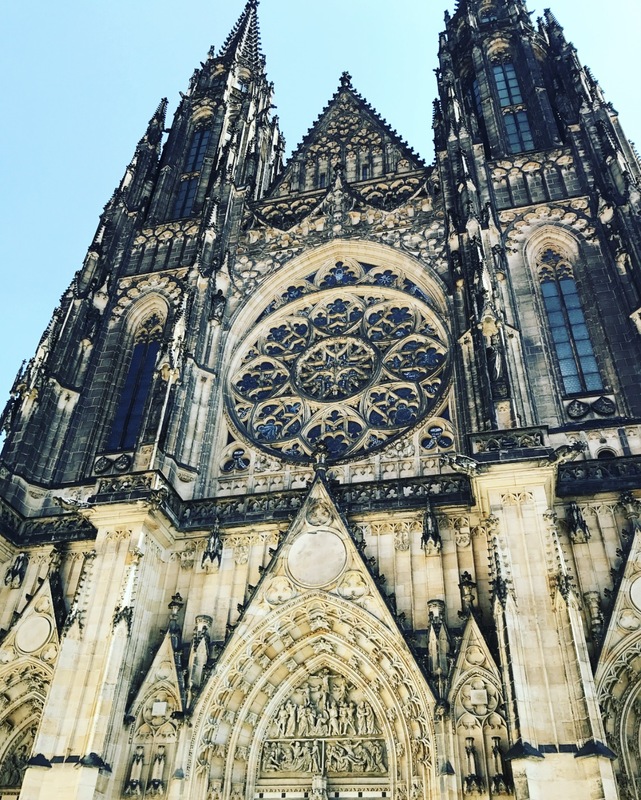 If you are going to Prague, you have to at least see the Prague Castle. One of the biggest attractions in Prague and such a gorgeous structure in person. We walked there from our hotel, but it was a pretty long hike. Next time, we probably would have asked the hotel how to get there easier. Despite the long hike, the view at the top was SO worth it! We walked inside and roamed around for about 20 minutes but decided not to take a tour. All in all, whether you take a tour or not, it’s a must see attraction while in the city. 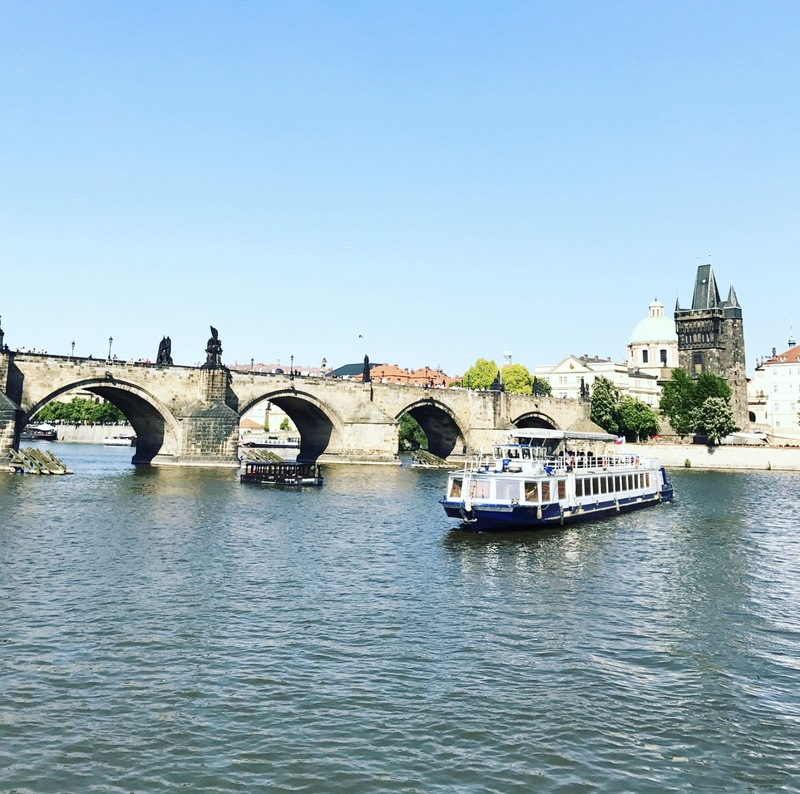 One of the most popular bridges in Prague and so pretty! We loved just walking back and forth on the bridge, while enjoying the view over the water, the street entertainers, live music and little market vendors. Such great entertainment. There isn’t a great website for this information, but you will have no trouble finding it when you walk along the water. We rented a peddle paddle boat for about an hour and road around the river. It was such a fun experience and we loved every minute! 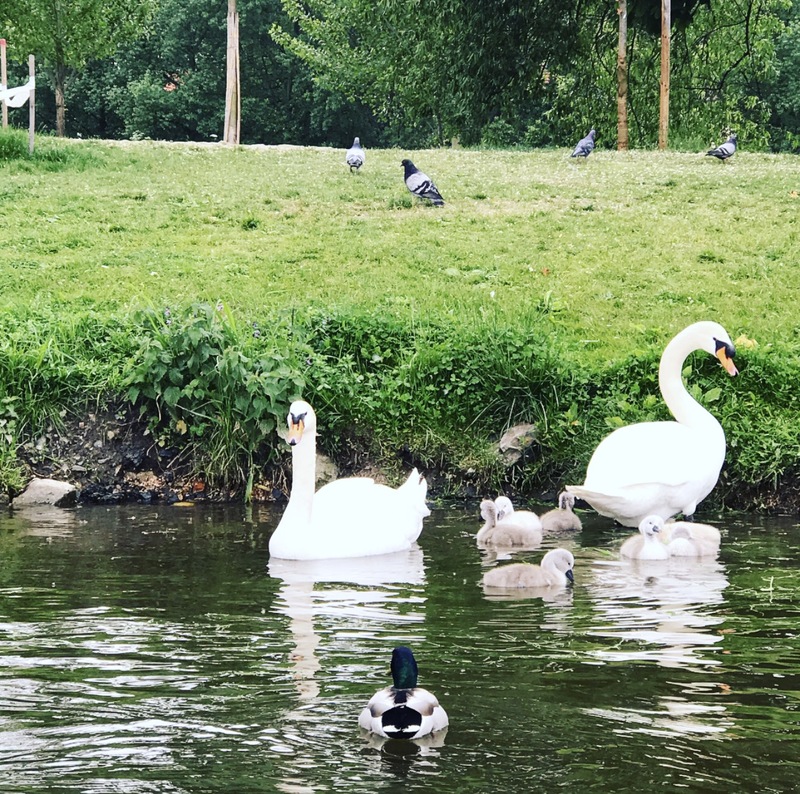 We got to see a family of swans, ride under the bridge and enjoy the sites. Located right in the heart of the city, this gorgeous clock puts on a little performance every hour on the hour. 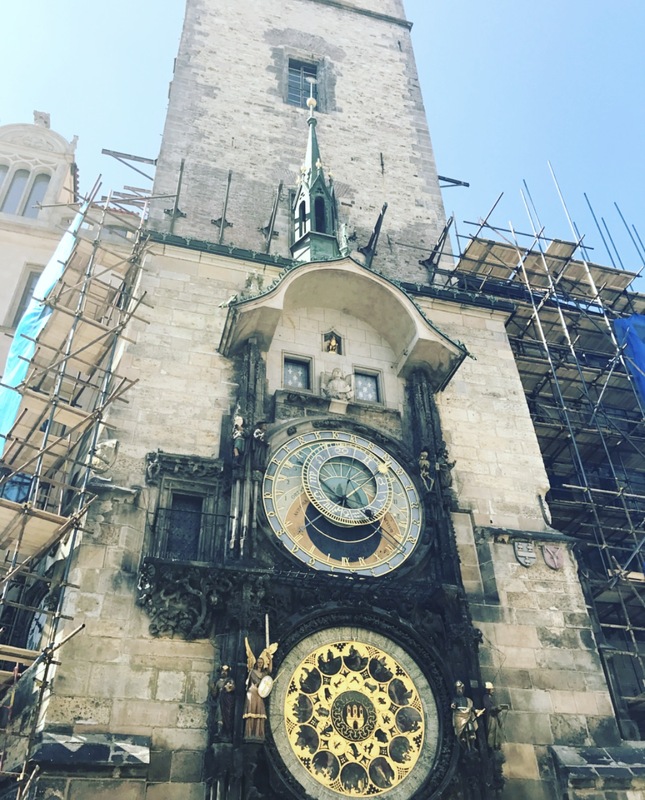 Everyone gathers around every hour to watch the clock as it is an incredible structure! ** There are tons of great restaurants in this city so making a reservation somewhere really isn’t necessary unless it’s a place you really want to eat at. ** Before we left, all of the research we read said to not indulge in the famous Prague street dessert Trdelník. It’s been called a tourist trap, too expensive and not good. Well, we are tourists and we wanted to at least try it. And I’m so glad we did! We actually enjoyed it! ** Before we left, we scheduled this car service to take us to & from the airport. We had read that some taxi’s can be a little sketchy so a car service was the way to go. It was actually pretty reasonably priced and made it SO easy. We didn’t have to worry about getting a taxi or jumping on a train which made it super simple. Highly recommend. ** If you are out and about and need to go to the bathroom, using a public toilet costs money. So make sure you are carrying some coins with you at all times. If you are eating at a restaurant, you can use their bathroom but otherwise pay up! 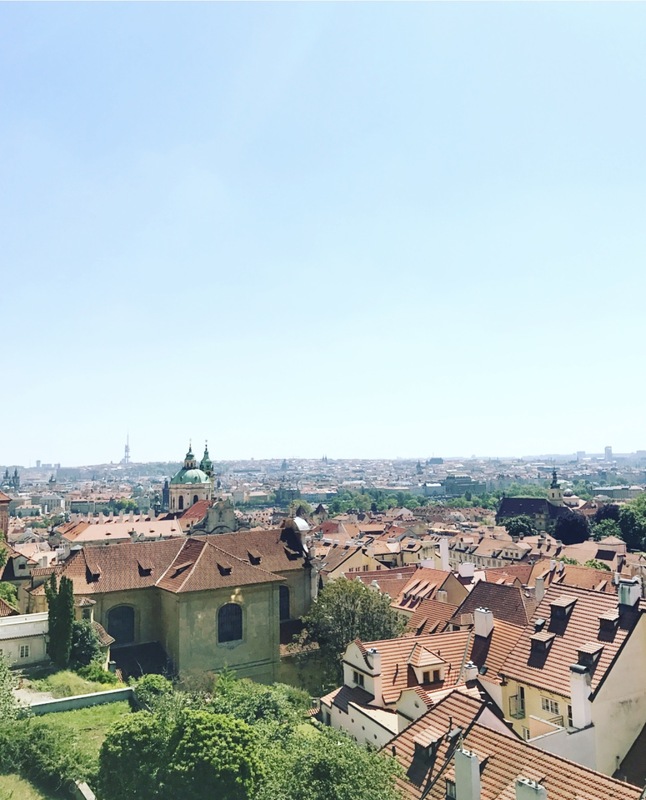 ** One of our favorite things about Prague was the time of year we chose to go. Going in May was the PERFECT weather. Not only that, with the weather being nice, there are tons of open markets on the streets and lots of outdoor beer & wine gardens open to the public. Overall, we LOVED Prague and were so happy we visited. We loved our hotel, loved the history of the city and really enjoyed the food. 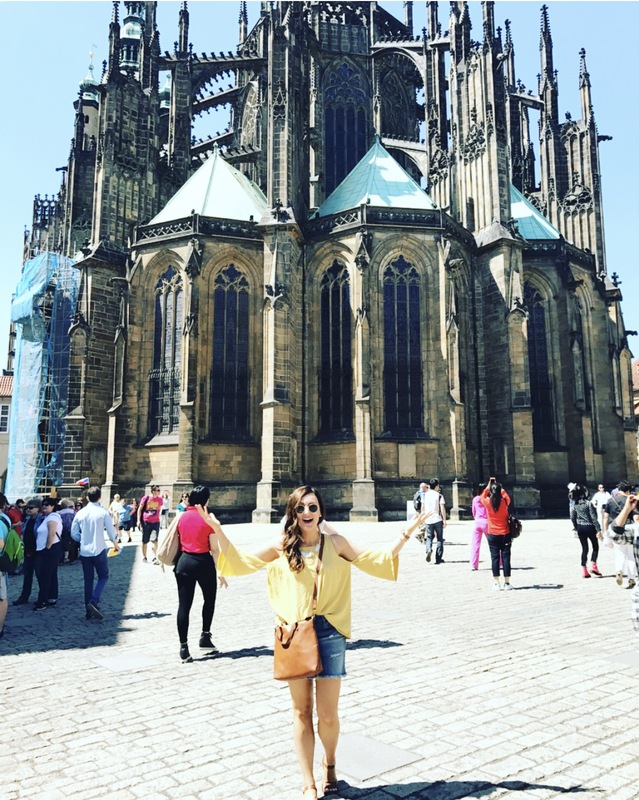 Prague is one of the oldest cities I’ve ever visited and it was so fun to just roam the cobblestone streets and view the ancient architecture. I’m sad that our European adventure is coming to an end on here but I’m so glad I was able to share and document all the amazing details for you guys! 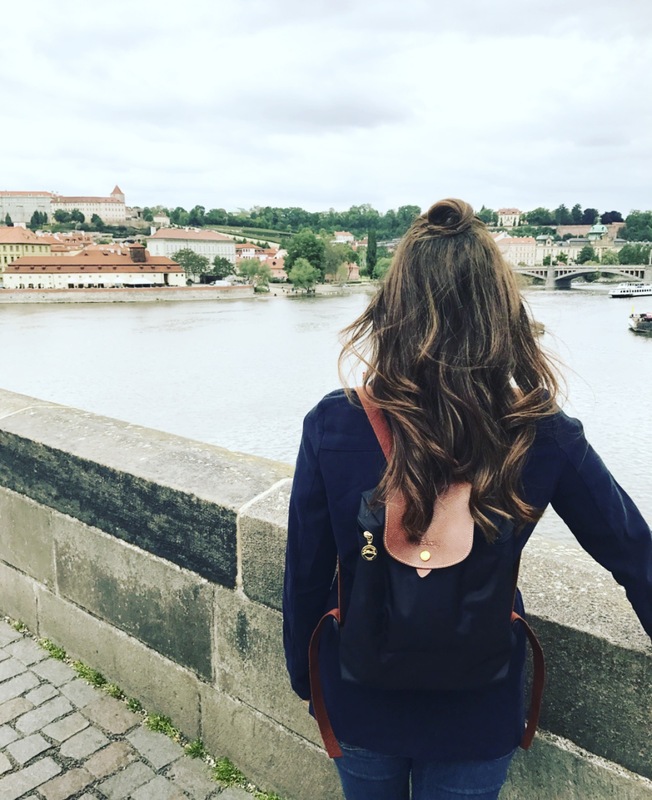 Have questions about our European trip or Prague specifically?! Don’t hesitate to reach out and email me or comment on here! I’d love to help! I can’t wait for our next European adventure…..we might have a cute baby girl in tow but that won’t stop us! We can’t stay away from our happy place for too long!